Love the fluidness in these panels. And yay, Flint's okay! 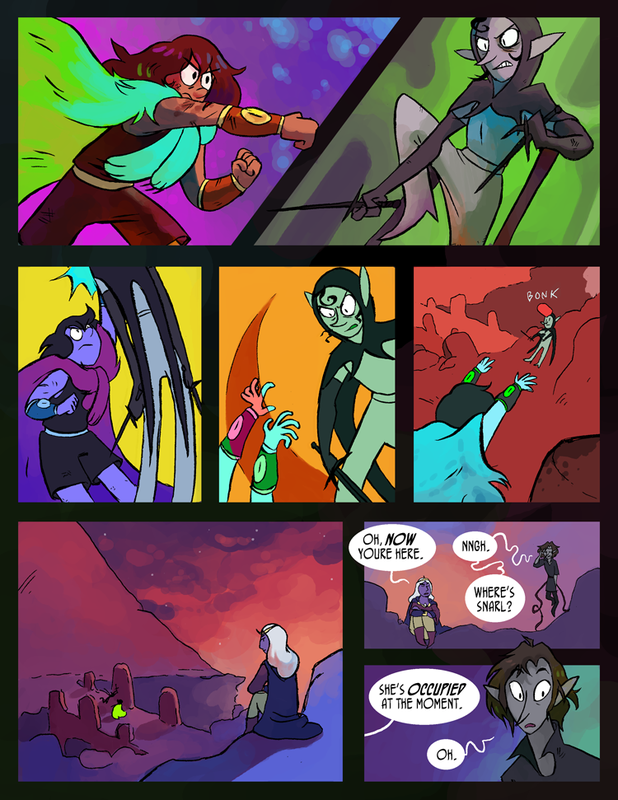 I just discovered this comic, really vibrant and engaging, great work! You have a lot of talent! Especially the rock-throw. I know everyone else has said it, but; BONK. Oh, good, Flint's here! I knew he didn't leave the group. It looks to me like Ms. Bonk went after him first - he's at least 37% less debonair than usual in the last panel.